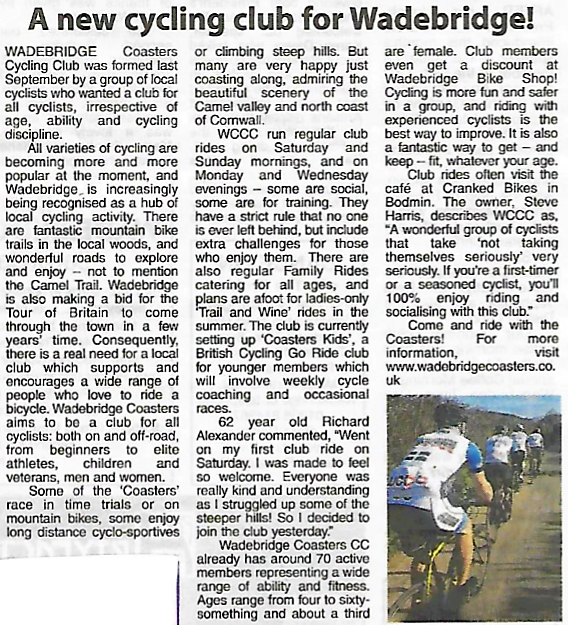 Wadebridge Coasters Cycling Club was founded as 'A Club for All Cyclists' - an open, inclusive type of cycling club - one that included time trialists, triathletes and other competitive riders, but also welcomed and celebrated other cycling activities, both on and off-road, from beginners to elite athletes, whether children or veterans, men or women. 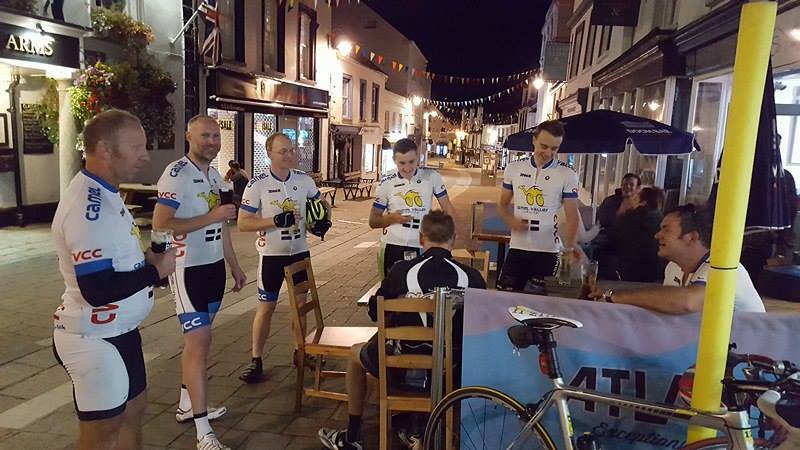 ​​'The Coasters' was founded on 21st September 2016 by about 30 cyclists, half of whom were then members of long-established local cycling club. They had hoped to renew their own club, but it soon became clear that a new one needed to be formed, so the name Wadebridge Coasters CC was chosen and officially adopted at the club's first AGM on 18th November 2016. 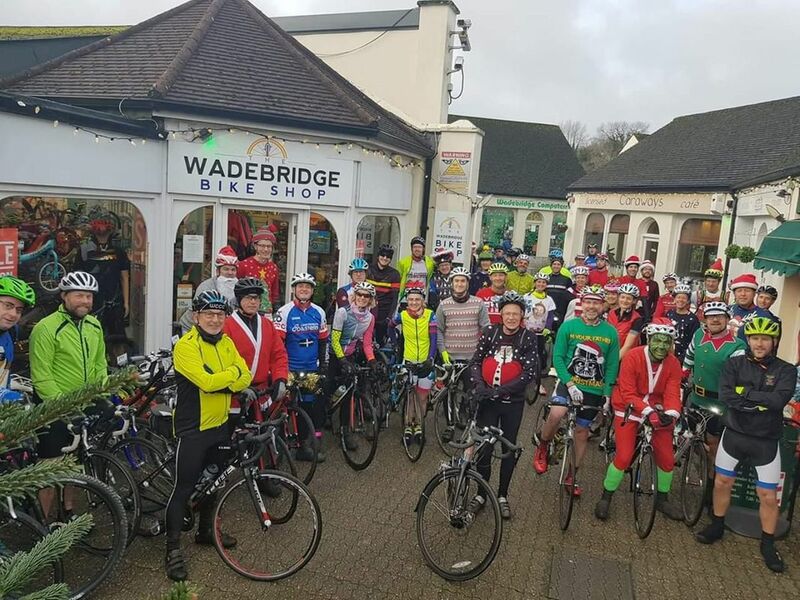 Wadebridge Coasters Cycling Club grew rapidly in its first few months, exceeding 50 members by the beginning of 2017. A club kit was produced, including hoodies and T-shirts as well as the a wide range of cycling-specific clothing. This really helped to raise the club's profile, particularly at the Sensational Cycling Saturday event at the Royal Cornwall Showground in April 2017. Soon after this, ladies-only Friday evening rides started, followed by Coasters Kids, our British Cycling 'Go Ride' Club. In July 2017, WCCC membership passed the 100 mark and the club was running an incredible eight club rides every week, including one for mountain biking, and an early morning training ride. The most popular club rides were regularly attracting 20 to 30 cyclists. The club celebrated its first birthday on 20th September 2017 with an appearance on ITV's Doc Martin! We also received a £500 grant from Wadebridge Town Council towards training more coaches for Coasters Kids which was now at capacity. With 126 members and well over 500 social media followers, The Coasters were already firmly established in the local cycling scene. As 2017 drew to a close there was much excitement about the future, with over 70 people at the club dinner. Coasters Kids was firmly established and the WCCC had already achieved Clubmark status. From the off, the social side of cycling was paramount for The Coasters, but that didn't mean there weren't plenty of members with a healthy competitive streak. A number of members were already racing MTB and others had caught the cyclocross bug. 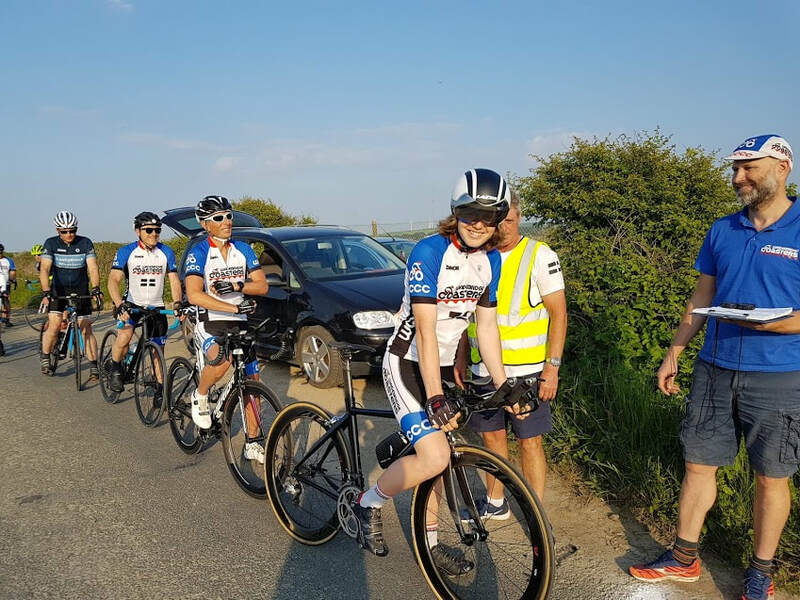 In April, 2018 a brave bunch of Coasters experienced their first road race at Davidstow, and others tested themselves on time trials, including a local team event. The club also started putting on its own races in 2018: club time trials (mainly at our newly created St Eval S110/10 course) and a circuit race at the Royal Cornwall Showground as part of Cycling Saturday. 2018 also saw the Coasters' first expedition overseas with a tour of Brittany; and a few brave souls completing an epic 200 mile circuit of Cornwall. The club rides continued to to grow, both in numbers and variety, and with 11 rides per week on every day except Tuesdays, quite a few Coasters cycled well over 5000 miles in 2018.